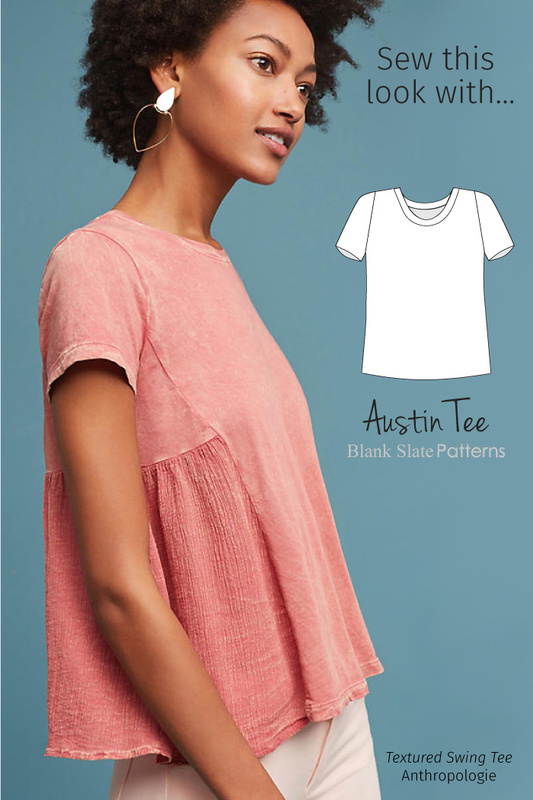 And this Austin Tee hack already has a full tutorial! Follow the steps in this post to modify your pattern pieces for it. And the best way to get tonal matching cotton gauze and jersey as shown in the sample might be to dye it yourself. See this post for how to dye fabric. For more of Sew This Look inspiration, be sure to follow our Instagram account!